Cool. 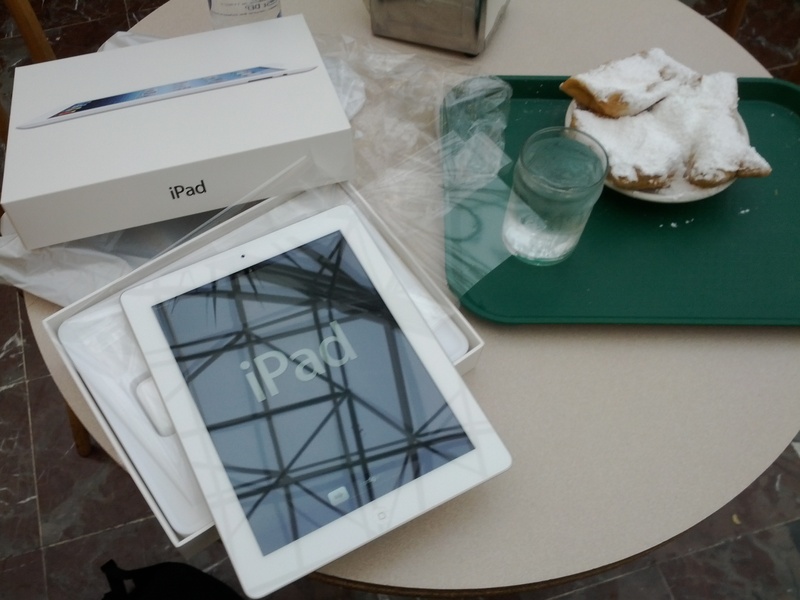 But what is that interesting food item sitting next to that iPad? Hopefully that goes for the rest of the icons as well. Mmm, beignets! I haven’t had a real beignet in ages! Life is Good! My favorite IPad ap is the photo shop thermal images. It’s so much fun taking pictures of old buildings. Adding bright colors to everything has helped me survive the Winter here. I wish the IPad camera had more mega pixels.